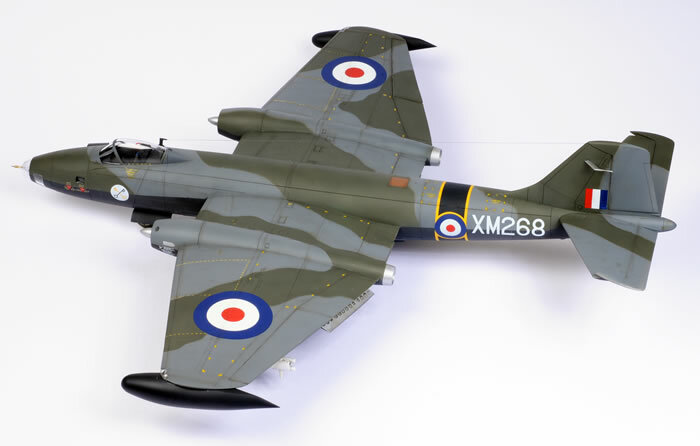 Here is my new Airfix 1/48 scale Canberra B(I).8. The only additions were a couple of extra straps from lead foil and a overhead pull handle from fuse wire for the ejection seat. 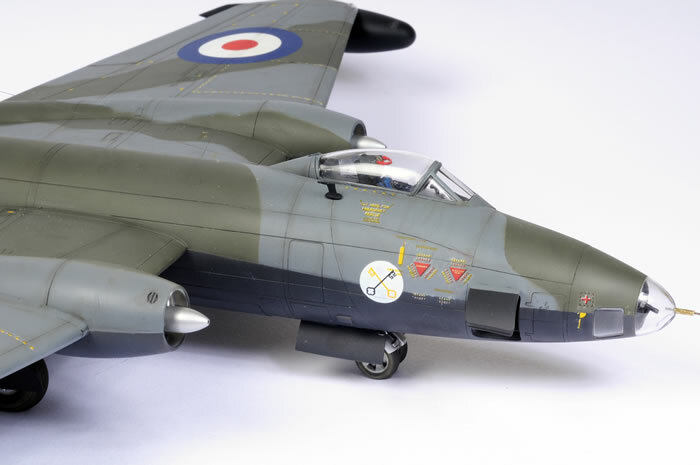 The markings were sourced from Model Alliance Decals' MA-48146, BAC Canberra B(I).8 and PR.9 Part II. Kit decals were used for the stencils. The model was painted using the Testor Aztek A470 airbrush and finished in a coat of Polly Scale Flat acrylic.